Nearly three years ago, the people of Great Britain voted in a referendum to depart from the European Union, the trade bloc that consists of 27 European nations. Since then, British leaders-including current Prime Minister Theresa May-have been working to draft a deal for the departure. This past Friday, May asked for a second delay in the departure date. Originally, the British Parliament was supposed to pass the deal by March 29, 2019. However, after many failed attempts to pass deals that would determine the terms and means of Great Britain removing itself from the bloc, the date was then pushed back to April 12. Brussels, the European Union headquarters, denied May’s original request to change it to June 30, but she is now more optimistic that they will accept it. One complication behind the requested extension is that the European Parliament will be hosting elections from May 23-26. Britain could choose to remain in the European Union and elect representatives, although the public would likely be opposed to such an action taking place three years after the referendum. May and her proposals have faced opposition from numerous political parties. Certain members of her own Conservative Party oppose any deal that is anti-EU, the Labour Party wishes to maintain strong trading ties in order to add more jobs, and the Northern Irish party also disagrees with all of the now-existing proposals. 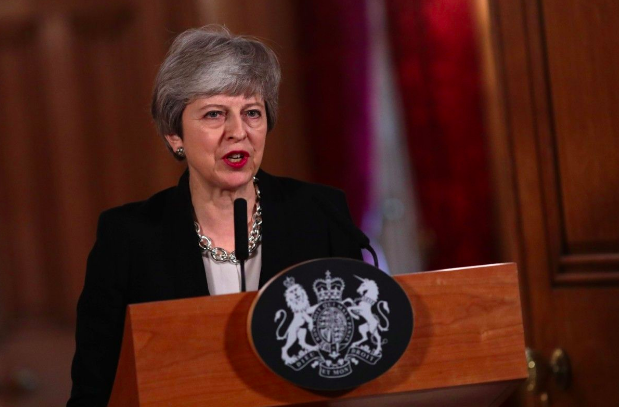 In an attempt to win support from all parties, May made her latest proposal vaguely-worded so that there were aspects that every legislator could support. However, this backfired, as a main criticism is that her outline of future relations between Britain and the European Union was not specific enough to stand behind. After months of political deadlock, May reached out to Jeremy Corbyn, the leader of the Labour Party, in attempts to reach an agreement. However, according to May, they did not reach any solid compromise in these talks and will instead set out different paths from which the British Parliament can choose the best option. If Brussels does not grant an extension and Britain is unable to pass a departure deal by its current deadline, then a “no-deal Brexit” could occur. If this were the case, then Britain would have no legal trade arrangements with its neighboring countries and would be particularly vulnerable to financial market meltdowns and theft. Many politicians have considered hosting a second referendum in which the British people could vote once more for remaining in or departing from the European Union. However, while Corbyn would consider getting behind a push for another referendum, May believes that it would diminish the country’s faith in the government and democracy. Regardless, it is unknown whether a second referendum would yield different results. Recent polls indicate that more citizens oppose, rather than support, leaving the European Union. However, polls reached the same consensus before the initial referendum, which displayed results that contradicted the polls. With the current deadline and European Parliament elections approaching quickly, it is only a matter of time before May and the rest of the British government must make a decision on the future of Great Britain and the European Union.